The U.S. President walked in front of Her Majesty twice. Donald Trump met Queen Elizabeth II for the first time on Friday, and all eyes were on the President to see if he would follow the rules of royal protocol. There are a lot of do's and don'ts when meeting Her Majesty, including allowing the Queen to initiate body contact and letting her take the lead when walking, and Trump seemed to struggle a bit with the latter. 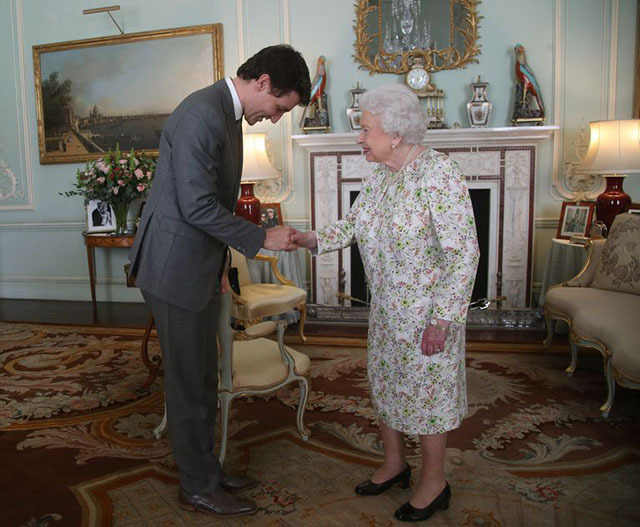 His first questionable move took place within the first few seconds of meeting the Queen, when Trump walked up to greet her. He shook her hand, but did not bow. Some outlets spotted a barely perceivable bow in footage of him exiting his vehicle, but it appears more like he gave a nod. Melania Trump did not bow or curtsy. According to the official royal website, when meeting the monarch, men should execute a “neck bow" by basically nodding their head downward, not bowing from the waist. Women do a small curtsy. However, there are a few exceptions. "Americans do not curtsy or bow to foreign sovereigns," royal expert Marlene Koenig explains to HarpersBAZAAR.com. "Justin Trudeau as Prime Minister of Canada gave a little bob of head as the Queen is the Head of State of Canada. She is his Sovereign." When President Barack Obama met the Queen at Windsor Castle in 2011, he also did not bow, CNN reports. He did, however, refer to her as "Your Majesty," which is the correct formal address for the Queen upon first reference. On Friday, when Trump walked with Queen Elizabeth towards her royal guards, he appeared to be a bit confused about where to stand. 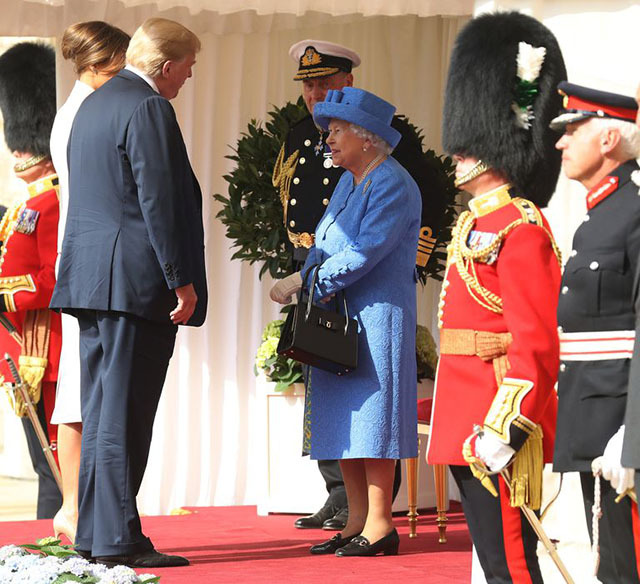 He seemed to take a few steps in front of her after she made a hand signal, and upon leaving his meeting with the Queen, Trump again walked a few steps ahead. 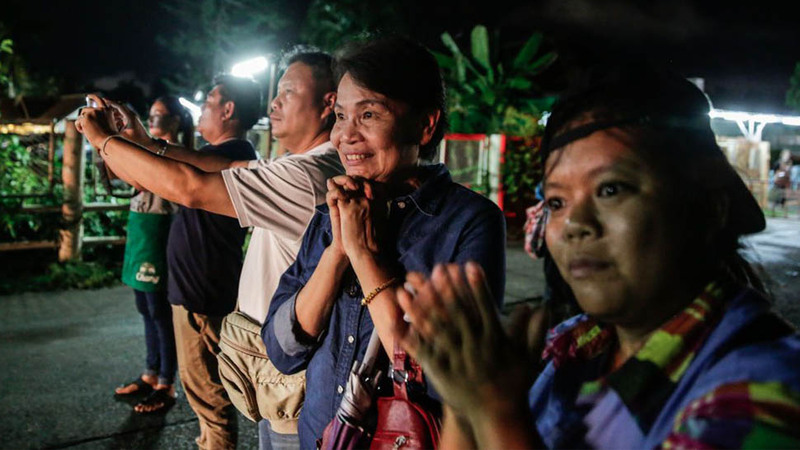 Former royal butler Grant Harrold notes that taking the lead ahead of the Queen is considered a big no-no, according to Business Insider. 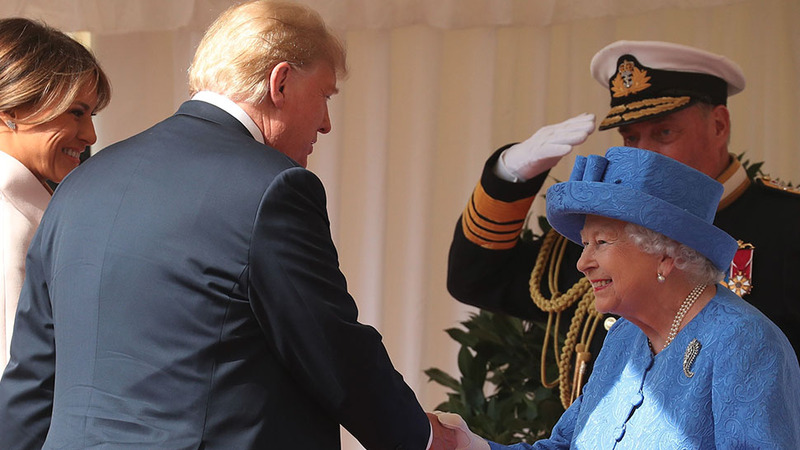 "If they're going somewhere or having a walk around, the Queen will actually walk slightly in front or alongside Mr Trump," Harrold said ahead of Trump's meeting. Koenig thinks that the President's mistakes are less about breaking royal protocol and more about Trump having "no understanding of etiquette." "The Queen being the Queen knows how to handle people with more than 60 years of experience," she says. "Trump is clueless."